Our Pure Mylk raw chocolate bar achieves its deliciously creamy taste by combining the finest organic Peruvian cacao with cashew nut butter and unrefined coconut sugar. We also add a dash of lucuma powder to give a subtle caramel flavour. 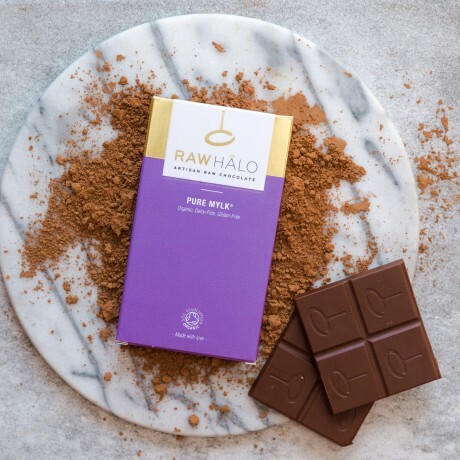 The perfect dairy-free, and delicious milk chocolate alternative. Made with only organic ingredients. 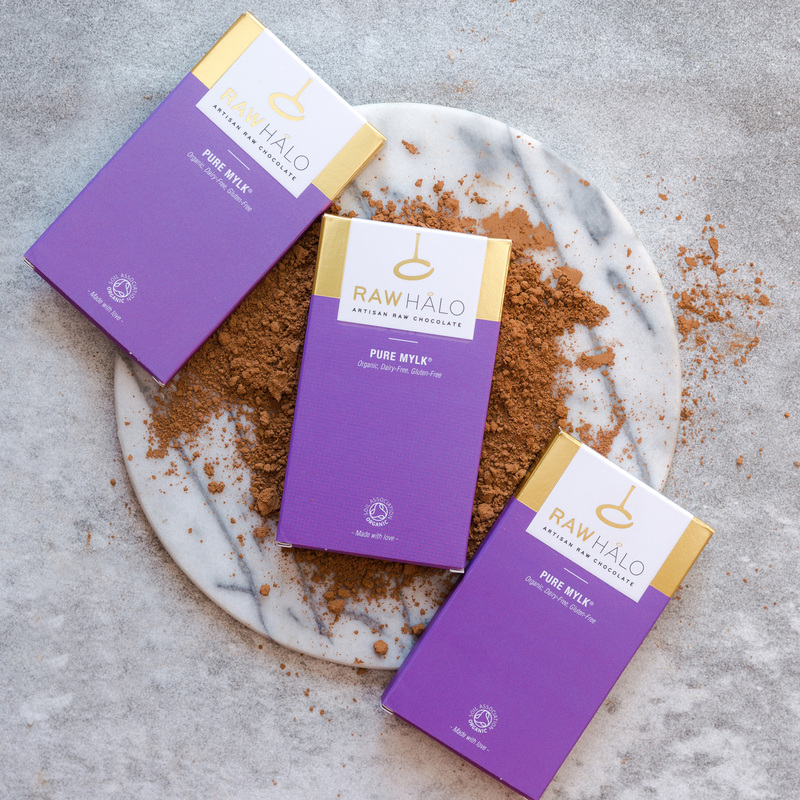 Raw cacao butter*, coconut sugar*, raw cacao powder*, cashew nuts* (10%), lucuma powder*, inulin powder*, vanilla powder*. *Certified organic ingredients. Cocoa solids 57% minimum. For allergens see ingredients in bold. Not suitable for nut allergy sufferers.